(From Tamron lens literature) Tamron announces the development of the company's first Micro Four Thirds high-power zoom lens, equivalent to 28-300mm in the 35mm/ full-frame format. Tamron 14-150mm F/3.5-5.8 Di III VC (Model C001) with Tamron's proprietary VC (Vibration Compensation) mechanism and sophisticated metal finish in two colors - black and silver. The ingenious optical design achieves a compact body with a filter diameter of just 52mm despite being equipped with the Tamron's highly regarded VC (Vibration Compensation) mechanism. A stepping motor optimized for this model provides silent, quick and accurate auto focusing. Using a circular diaphragm*3, this lens achieves spectacular background blur effects. *2 The lens VC feature should be turned off, when used with cameras that have built-in image stabilization functions (such as those made by Olympus). *3 The circular diaphragm retains a near circular shape even when taken two stops down from a wide open position. Proxy photo is difficult as you must use max focal for max ratio, and it becomes difficult to frame the subject (it moves a lot !). And the lens is not at its sharpest ! I'm curious to see the improvement that the DxO module will bring to sharpness, etc. I made some tries with manual corrections and the results are very close to the IQ of the Olympus 14-42 IIR and 40-150 : distortion and CA is easily corrected and sharpness can be significantly improved on the edges. AF performance is above average, so it has very good ratio price/size/performance. It won't replace my Olympus 12-40 when I want to bring back top IQ (on journeys for example), but for family shots and video, it's just right. It is the lens you can let on your body when you don't know in what context you'll take your next shots. It can replace without compromise two kit lenses. Now the DxO module is available for this lens. I have compared the Olympus 12-40 and F5.6 and the Tamron 14-150, as I am a lucky man who owns both lenses. If you stop down the aperture to have the best IQ (F4 for a Olympus 12-40 and F5.6 for the Tamron 14-150 at 14mm, F6.3 at 40mm and F7.1 at longer focal, the sharpness is the same at the center (which is an excellent result given th IQ of the 12-40). There is also a slight difference of sharpness at the edger of the frame at the wider end, but one should not care, even at larger prints. To be sure, I made some simulations of large prints, format A3 (16,5"x11,7", size of largest photo albums here) and 27,5"x19,7" (the size here for big photos frames, that is 70cmx50cm). At A3 size, the difference of sharpness at the top left corner (the worse one) is indistinguishable. At the bigger size, it is distinguishable only if you examine the print "the nose on the paper", this is not realistic at this size of print. I will continue to use the 12-40 on journeys for landscapes, architecture and indoors. 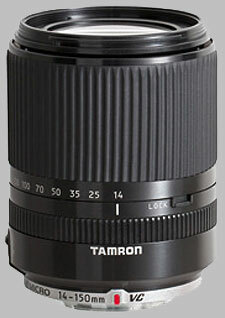 But the Tamron 14-150 associated with DxO is an impressive combination, given the price.